The QTC40 is a “High Definition” omnidirectional condenser, initially released as the QTC1 in 1998. It is the most popular of Earthworks’ QTC series. The QTC40 differs from its less-expensive sibling, the QTC30, primarily in frequency response: the QTC40 is rated from 4Hz–40kHz, whereas the QTC30 is rated from 6Hz–30kHz (with wider tolerance). Both mics have a self-noise level of 22dBA, which is somewhat high for a modern transformerless condenser microphone. The QTC40 requires 48V phantom power. It draws 10mA, requiring a high-current P48 source for best results. The QTC model name prefix means “Quiet / Time Coherent.” The QTC mics are called “quiet” in comparison to the TC series; the QTC’s are rated at a somewhat high 22 dBA, whereas the TC’s are even noiser, at 27dBA. In contrast, the tiny (~6mm) omni capsule used in QTC mics avoids all these problems, producing a very accurate, realistic, and uncolored sound. The mic ships with a plastic clip and its individually measured frequency response calibration chart. 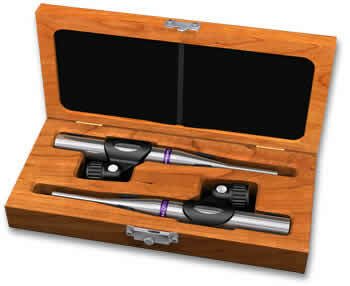 The QTC40 is also available as a matched pair, shipped in a cherry wood box (model QTC40mp). Using the two QTC1s as a spaced pair, the stereo imaging was sublime — not the etched, pin-point accuracy of coincident mics of course, but a velvety smooth watercolour of sound spread out before the loudspeakers. The Earthworks Audio QTC40 is also known as: QTC1.